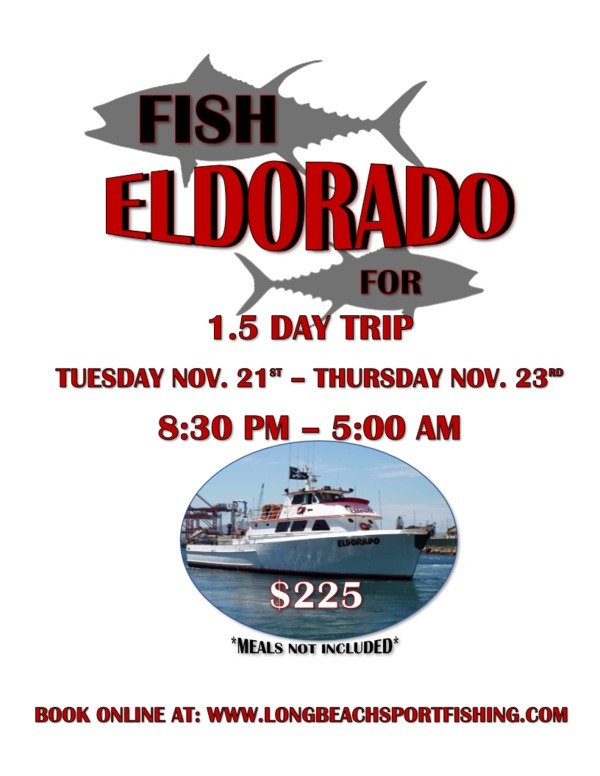 The Eldorado is a go for tonight! 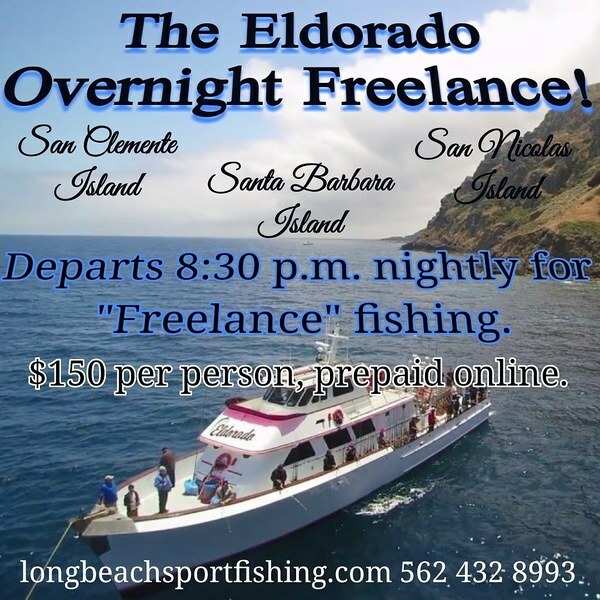 Departing at 830 pm, and returning tomorrow evening at 7 pm, LIMITED LOAD at 35 anglers, for $170 prepaid, or $185 walk up. Targeting pacific blue fin tuna, yellowtail, calico, and more, make sure you have a heavy set up. 80 lb test MINIMUM! Try to stick with 100 lb test or higher, plus glow n the dark flat falls 250g. For the smaller grade fish 20-30 lb test, 2-2/0 hooks, 1/4-3/4 egg sliders, and a handful of torpedos at 8 oz Get online and book your spot now! See you all this evening.